Do you think of your outdoor space as nothing more than a necessary element that “came with the house”? If so, then you likely do not realize that what you have is a diamond in the rough, an investment opportunity that is as life-changing as a complete remodel. 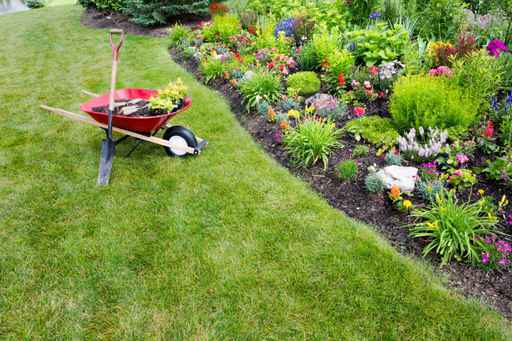 The shortest path towards uncovering the full potential of your outdoor space is working with a professional like Lake Washington Landworks, LLC – the leading provider of flower bed design and planting services in the Puget Sound Region. 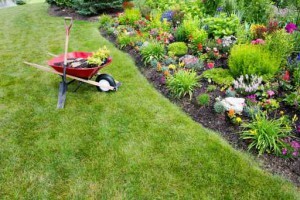 There are a great many benefits to planting flowers on your property as part of its overall design. When all you see is grass and soil, we see endless opportunities to not only enhance the curb appeal of your residential or commercial property, but also provide a balm for your soul. In many cases, strategically incorporating a splash of color can make a major difference in how your outdoor space looks and feels. This is where our professional flower bed design and planting services come in. With over 20 years of industry experience, we take the time to create a fully customized flower bed design plan to bring out the inner beauty of your outdoor space. We take the time to understand your unique vision or inspire it with our expert recommendations, from color preference to plant location and everything in-between. We then promptly proceed to naturally integrate the new flower beds into the existing landscape for a smooth yet dramatic transformation. In addition, we have partnered with a small local nursery to bring home and business owners closer to a vast selection of plant and flower varieties for beautifying their properties. Whether you seek perennial, annual or even edible plants to integrate into your flower bed design, our planting specialists will assist you in choosing greenery that is perfect for your distinct microclimate and site conditions. We understand that you may one day wish to sell your home or business, and its curb appeal will serve as a major contributing factor for attracting potential buyers. Why not take the opportunity to stand out among all other properties on your street by presenting a beautiful sight to behold that entices people to approach your door step? This, and much more, is what professionally designed flower beds can do for you.